Flinders Yacht Club is a vibrant family sailing club that enjoys the support of sponsors who recognise the importance of community participation, outdoor family activities and the prospect of brand alignment with these fantastic attributes. All our sponsors are either active members, sailing enthusiasts or community minded entities. Our local Bendigo Bank at Balnarring recognises the important community contribution of the Club, in particular the Tackers Program run by The Boatshed. As a part of the bank’s promised community sponsorship Bendigo Bank is the major contributor to this initiative. "At Bendigo Bank we realized long ago that to help your community become successful, we first needed to help to become successful. Because if you grow, everyone will grow with you. After all, without you, there’s no community, no success, and no us! So we’re concentrating on U – by delivering great products and services." To support this sponsor, visit their branch in Balnarring or the ATM at Flinders General Store. 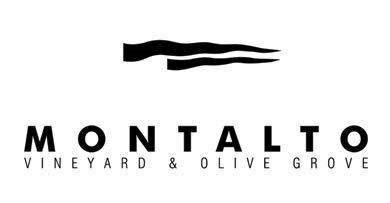 The owners of Montalto, the Mitchell family, are active FYC members and provide ongoing sponsorship. This sponsorship includes funds for the growing training fleet of Optimists, Pacers and Status 19s. "Montalto is a local vineyard, restaurant and sculpture park immersed in the support and development of the Mornington Peninsula region. Montalto produces wine on the Mornington Peninsula, a beautiful region with undulating hills flattening out to sea on three sides. Its natural topography and mild climate provide for ideal growing conditions for the key varieties of Pinot Noir and Chardonnay." Ray and Jill Johns, active club members, provide valuable catering support for many FYC events across the year. Their Red Hill and Balnarring bakeries, along with Ray's musical talents, are important contributions to our vibrant community. "The Red Hill Baker uses traditional baking methods for all breads including Sourdoughs, Turkish, Ciabatta and our unique Wine Bread. The bread is baked on a stone oven floor. All pastries are trans fat free and the gourmet pie fillings are slow braised before being oven roasted. Handmade cakes are produced on the premises using the finest of ingredients." Contributions to important training equipment and the provision of voluntary labour for specific events are the way the Flinders Lions recognise the community contribution made by FYC.